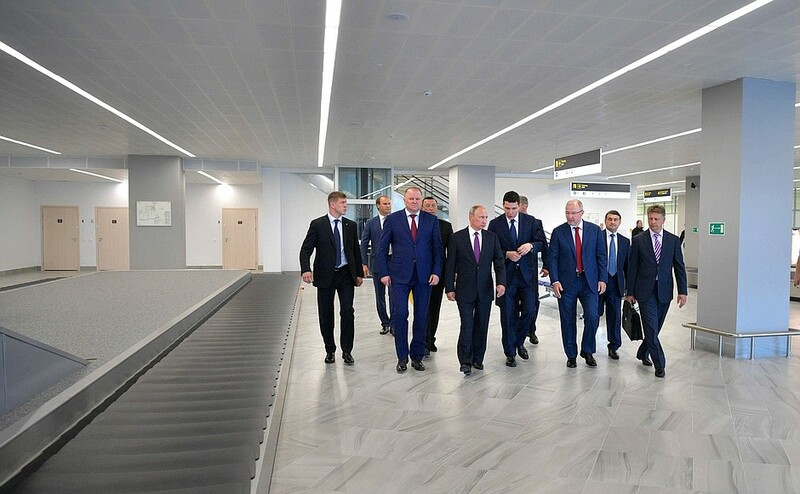 Putin visited new Khrabrovo Airport terminal. 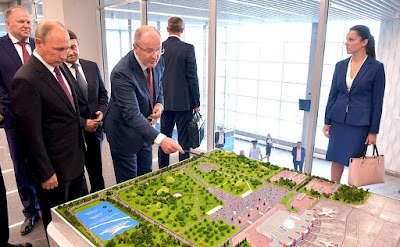 Putin.BLOG Kaliningrad Regions Transport Putin visited new Khrabrovo Airport terminal. Vladimir Putin visited Khrabrovo Airport, where he inspected the reconstruction of the passenger terminal and visited the arrivals area. Vladimir Putin visited Khrabrovo airport in Kaliningrad. Khrabrovo International Airport has regular flights to Moscow, St. Petersburg, Krasnodar, Cherepovets, Murmansk, Anapa, Kaluga, Arkhangelsk, Minsk, Grodno, Gomel, Brest, Vitebsk, Tashkent, Warsaw, Antalya, and Barcelona. The reconstruction of the runway and the airport terminal should be completed in time for the 2018 Football World Cup. Khrabrovo will be able to handle all types of aircraft and up to 3.5 million passengers a year. Russian President visited new Khrabrovo airport terminal. The 2018 Football World Cup will take place from June 14 to July 15 at 12 stadiums in the Russian cities of Moscow, St. Petersburg, Kazan, Sochi, Nizhny Novgorod, Samara, Kaliningrad, Yekaterinburg, Saransk, Volgograd, and Rostov-on-Don. Kaliningrad will host four matches at the group stage. Visit to new Khrabrovo airport terminal. 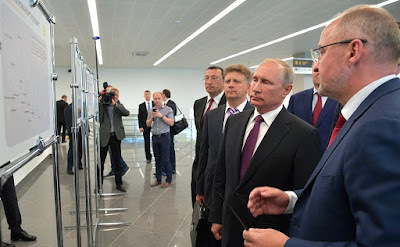 0 Comment to "Putin visited new Khrabrovo Airport terminal."